Are your guests thirsty for nostalgia? 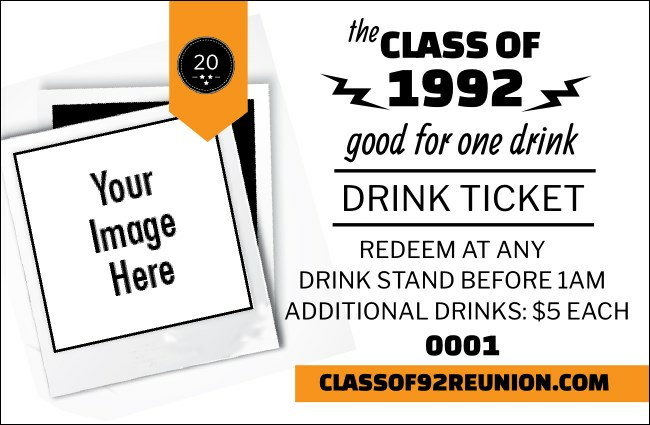 Give them something to clink their glasses together for when you give them Class Reunion Mascot Orange Drink Tickets at your next reunion event. These tickets feature a sunny orange and white background theme and give you space to upload your own unique image. TicketPrinting.com helps you get the band back together.